Back to Traditions or Main Secrets of First-class Hand Grinders. The good warranty will never be superfluous and actually is characteristic of the good qualitative product. The average warranty term is about one year. Grinders for everyday using can differ a lot from grinders for camping or traveling, so pay your attention on the grinder’s weight and on its portability. Size of your grinder is very important in all cases. Whether you want to take it to traveling or camping, or simply don’t have a lot of space for it in your kitchen and need a smaller one. Take into account this parameter! 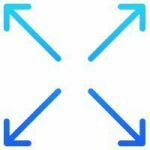 The possibility to adjust the grinding level allows you to choose the desired grind texture which can vary from very fine to coarse dependence on which coffee drink you want to make. There are two types of grinders-blade grinders and burr grinders. The blade ones are cheaper and work quite well, but if you want to brew the really genuine coffee it is recommended to use burr grinders. Here you should choose whether you need to grind coffee beans fast or you want to feel the real atmosphere of coffee beans manual grinding. 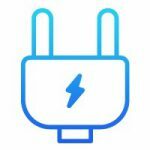 It’s up to you which type of motor to choose, by hand or electric one, but take into account that their price can differ. 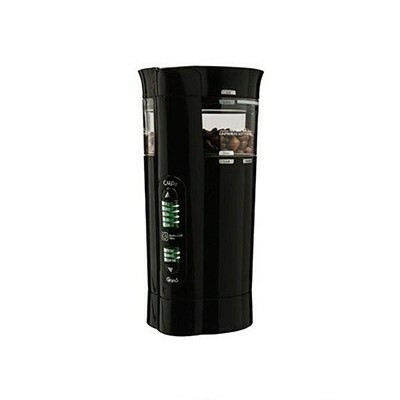 If you decided to choose the new coffee grinder, this article will be like light in the dark for you, because here we have collected only the best representatives of different coffee grinders with different prices and features. So, sit comfortably and be ready to choose! Let’s go! We will start our list from the grinder made by Hario Skerton. This grinder is the representative of manual-type grinders, so you can feel all the beauty of aroma of the coffee beans while grinding. This option is made of glass, durable plastic and has a rubberized bottom for stable grinder’s positioning even on the slippery surfaces. Current model has the ceramic burrs and can boast of the fully metal mechanism inside it. The quality of material that have been used to create this grinder is the highest, so as a result nowadays you are able to enjoy freshly grinded coffee during many years. The capacity of this option is equal to one hundred grams of coffee beans which will be enough for the four cups of the fragrant coffee. Also you are able to choose the necessary level of grinding among twelve different available levels. 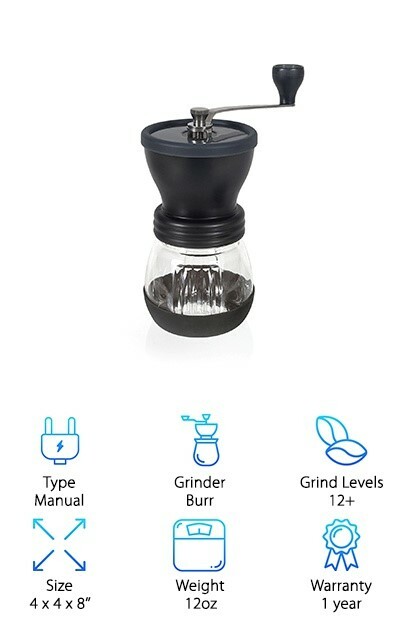 Perfect option for lovers of manual grinders. Unlike the previously mentioned option this one is representative of electric-type grinders. The main advantage of this made by Quiseen manufacturer grinder is that it can grind your coffee beans fast thereby significantly saving your time. So, it can be the perfect option for busy people who are always in a hurry. So, all you have to do to enjoy the freshest coffee is to push the button and…voila!- your coffee is ready in a minute! The power of this model is caused by tough blades made of stainless steel. The trickiest moment of this grinder is how to choose the necessary grinding level. To adjust the necessary coarseness you need to push the button as long as smaller grind level you want to achieve. It may sound a bit tricky, but actually after several times doing it you will get used to it. Thanks to the small size and portable shape you can put this grinder wherever you want in your kitchen and it will not take much space. This option made by KitchenAid manufacturer will really become the first aid for you in the morning because it will be able to please you with the cup of the freshest coffee. One of the advantages of the current model is its clear lid which allows you to control coarseness of coffee beans during the grinding process. 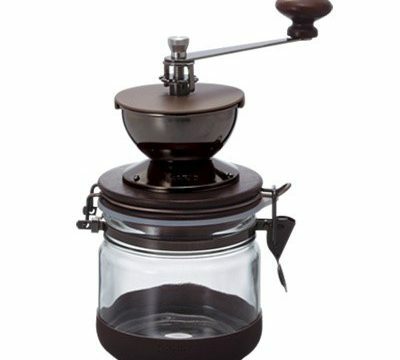 With the adjusting of grinding level by pushing the button the clear lid can be very useful because you can stop grinding exactly at the moment when you decide that coffee beans are grinded enough. The capacity of this grinder will be enough to make up to twelve cups of various coffee drinks, but you can also make four, eight or ten cups thanks to special markings on the bowl of the grinder. Stainless steel doesn’t only makes this option very modern and stylish but also adds durability and makes its cleaning incredibly simple. This option is one step ahead of other electric grinders because of its three different grinding levels available. 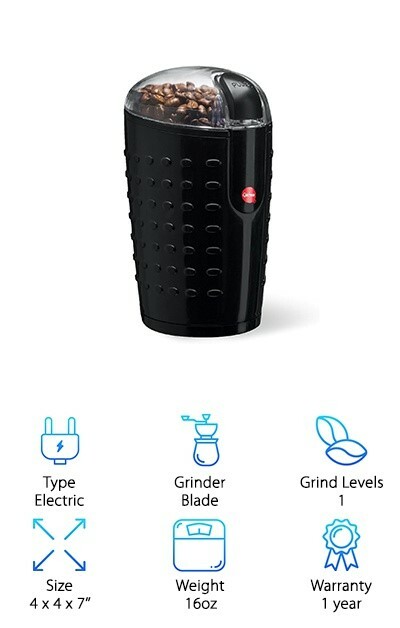 Unlike the previously mentioned electric options where the level of grinding is regulated by the duration of pressing the grind button, in this case you can just choose the necessary setting and grinder will make all the rest. You will understand that coffee beans are ground when the grinder stops its work. Thanks to the powerful mechanism and durable blades, this option can grind your coffee beans fast and without any malfunctions that may occur with grinders with the process of time. The cleaning of this model and transfer of the grinded coffee beans into your coffee machine can be done easily and without any efforts and mess thanks to the lid that can be opened widely. Moreover the integrated unique cleaning system that is called “Chamber Maid” allows you to keep your grinder clean and don’t worry about the mess after the grinding process. We highly recommend this high-end option for purchasing. The option from the Youlanda manufacturer is a representative of modern hand grinders. 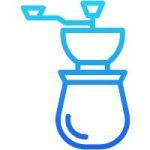 This model allows you to choose necessary grinding level for making such coffee drinks as French press or espresso which require different levels of coffee beans grinding. Of course it will be simpler if you choose the one level of grinding and always use it, but it’s much more interesting to try various drinks if you can do it, isn’t it? This grinder is made of the glass, metal and plastic parts. Its glass jar has a special silicone-made bottom which keeps your grinder firmly on all types of surfaces, so you can be sure that it will not fall down while you are grinding. The lid of this option is made of the durable plastic and is equipped with the convenient horizontal handle. 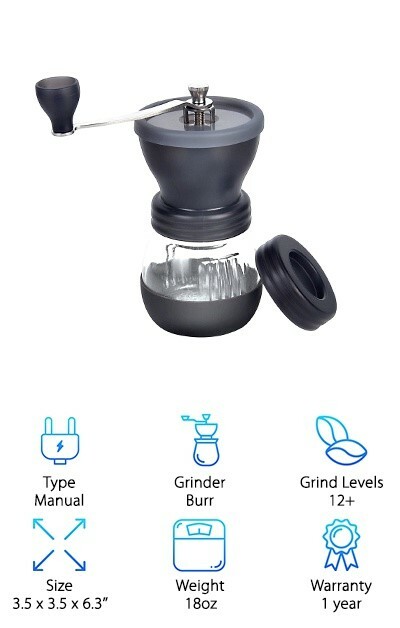 This model will ideally fit people who are searching for qualitative manual grinders with the different grind levels available. 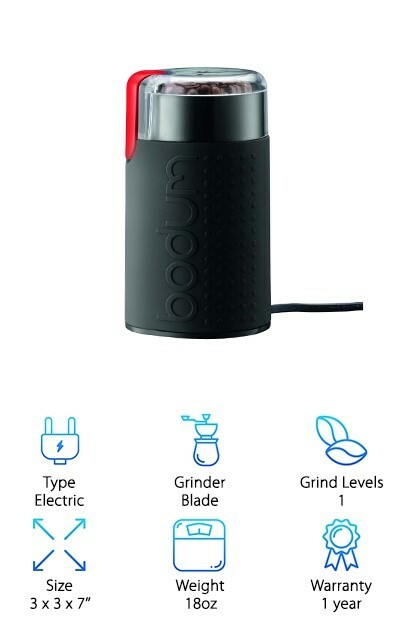 The model from Bodum brand is the modern and functional electric grinder. 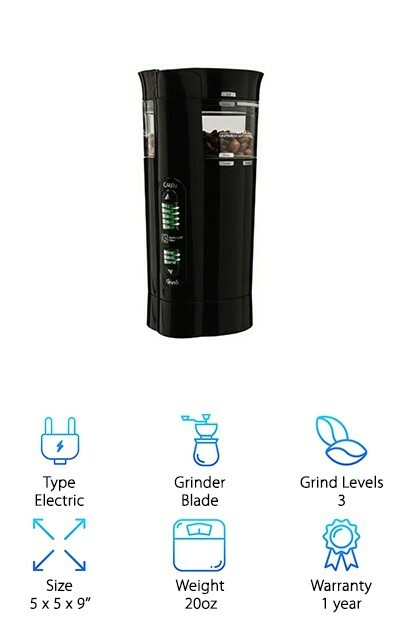 As other grinders operated electrically this one also has only one button, by pushing which you can regulate the desired grinding level of the coffee beans. The capacity of this guy is sixty grams that will be enough for around eight cups of coffee. Ability to regulate the level of grinding by yourself gives the opportunity to make different coffee drinks and also grind coffee beans for the French press. The design of this grinder is modern and stylish and is available in different colors. You can choose this option in white, red, copper, chrome, or black colors, while the special rubber moldings can also be matched by color, as they are available in white, red or black colors. Powerful motor of this grinder together with the stainless steel blades will grind your coffee beans in a minute to the desired level,, so brewing a cup of fragrant fresh coffee will not take much time. 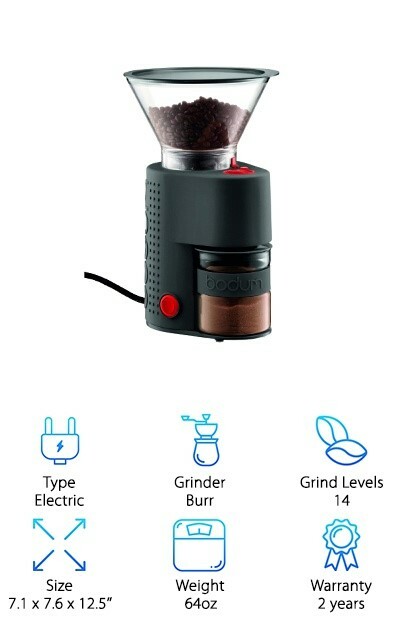 This option was created specially for those people who prefer manual grinders with burrs but always don’t have much time to turn a crank for grinding coffee beans. Current model is the great combination of burr and electric grinders and can grind the beans in seventeen different grinding levels. Electric motor of this grinder can significantly save your time while you will be able to enjoy grinding by burrs, not the blades. Thanks to the ability to grind coffee beans into seventeen different levels you are able to use this grinder for the drip, espresso or French press coffee. This grinder is modern and smart option, so all you have to do is to set the desired quantity of beans you want to grind and choose the necessary level of grinding. Push the button and in a moment you will get the incredibly fragrant coffee waiting for brewing. Moreover, this option can also automatically turn off after finishing the grinding process! 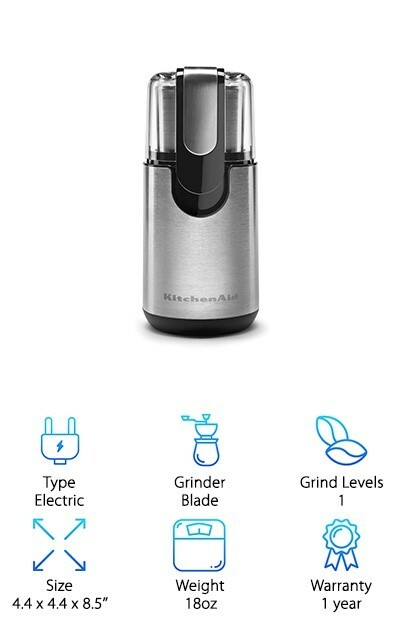 So we have smart, modern, functional and affordable electric grinder with burrs. Perfect! The “budget pick” title in our list was given to the manual grinder made by JavaPresse. 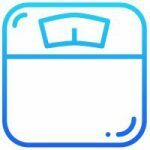 This option is on the first place of many charts and has a big popularity among users because of the portable size and durable stainless steel body. 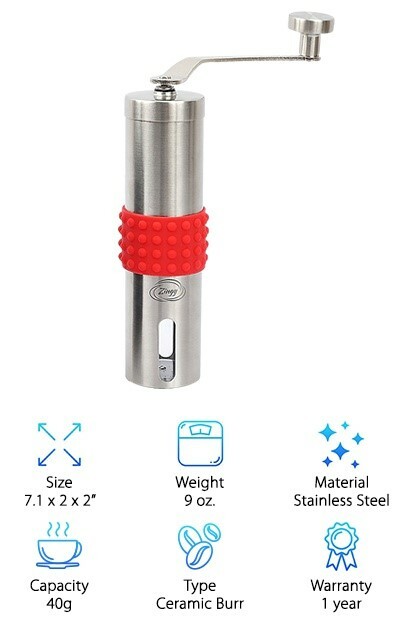 The cylindrical shape of this grinder allows you to take it to the traveling, camping or wherever you decided to go. You can simply put in into the pocket of your backpack and enjoy the freshest coffee whenever you want. The durable body made of stainless steel is damage resistant and can hold the bruises and bumps. 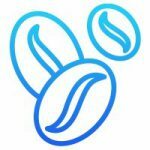 With the ability to adjust the grinding level by choosing between eighteen levels available, you will be able to make exactly that coffee that you want. It perfectly fits to make espresso or to grind beans for the French press. The capacity of this grinder is enough to make two cups of coffee at once. With the one year warranty and perfect portability this small stainless steel guy will become your best friend during all travels. 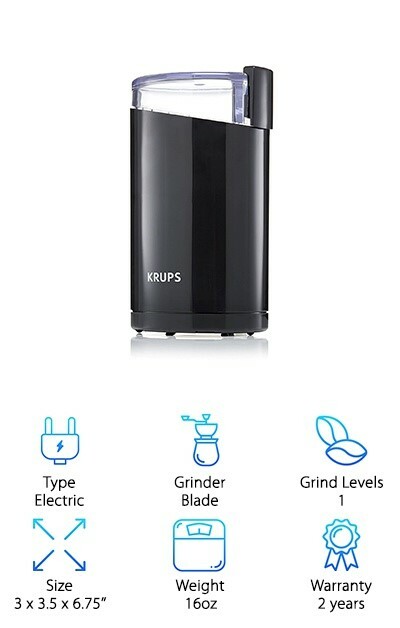 The title of “budget pick” was given to the previous model made by JavaPress and now it’s time to consider deeply our top pick – electric grinder made by KRUPS. The first things that attracted our attention was the duration of grinder’s warranty. Note that this option comes with the warranty which is twice as much as other grinders offer! 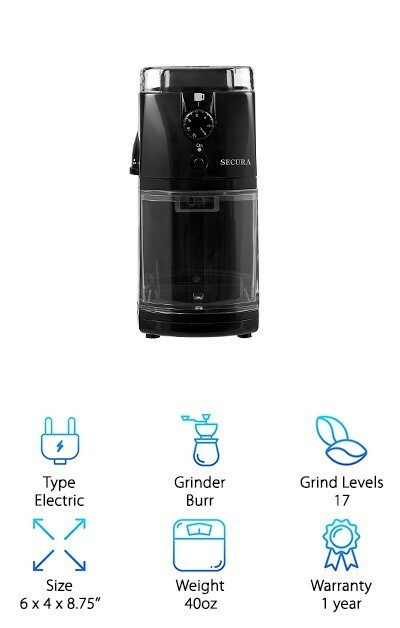 Also thanks to the powerful 200W motor you will be able to grind coffee beans in the desired grinding level by one short push (for the coarse grind) or by few pushes (for the fine grind) of button. The convenient shape allows you grind beans comfortable while the capacity of this grinder will be enough to brew up to twelve cups of superfine coffee to please your colleagues or friends with the freshest espresso. Minimalistic design and the durable materials of grinder’s body are perfectly united in this modern option while affordable price will be one more reason to purchase this model. The last option in this list is the model from Bodum brand. 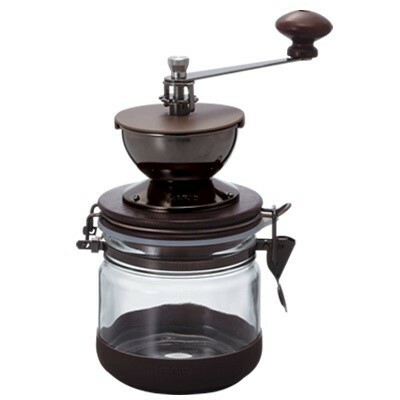 This stylish and functional grinder will become an integral part of your kitchen equipment. 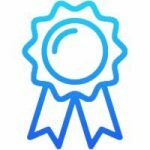 Let’s have a look on its main features! This grinder is available in different colors and materials. You can choose it either in plastic (white, red, green or black colors available) or in the aluminum (copper or chrome colors available) material. The burrs of this grinder are made of the stainless steel and can perfectly grind coffee beans without spending much of your time. Thanks to the fourteen available settings you can choose the desired level of grinding to make the espresso or other coffee drinks or to grind beans for the French press. The clear bin made of plastic has a tight lid that helps to keep beans fresh. This option will be the ideal choice for those who like manual grinders for their burrs but don’t want to spend much time for manual grinding. In this option stainless steel burrs are combined with the powerful electric mechanism, so you will have your fresh coffee in a moment without spending much time and efforts. Together with the reasonable price this model is a perfect choice for coffee lovers!